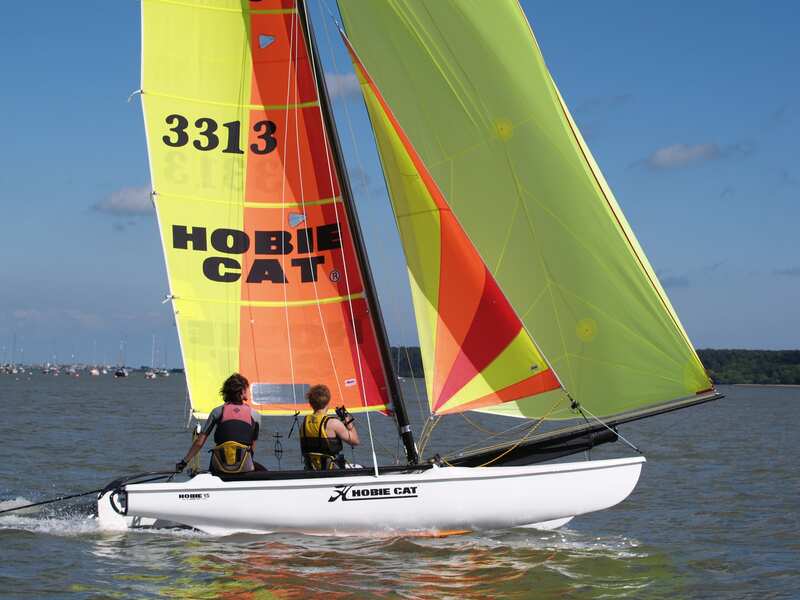 The Hobie 15 is a fantastic family boat which really builds confidence. 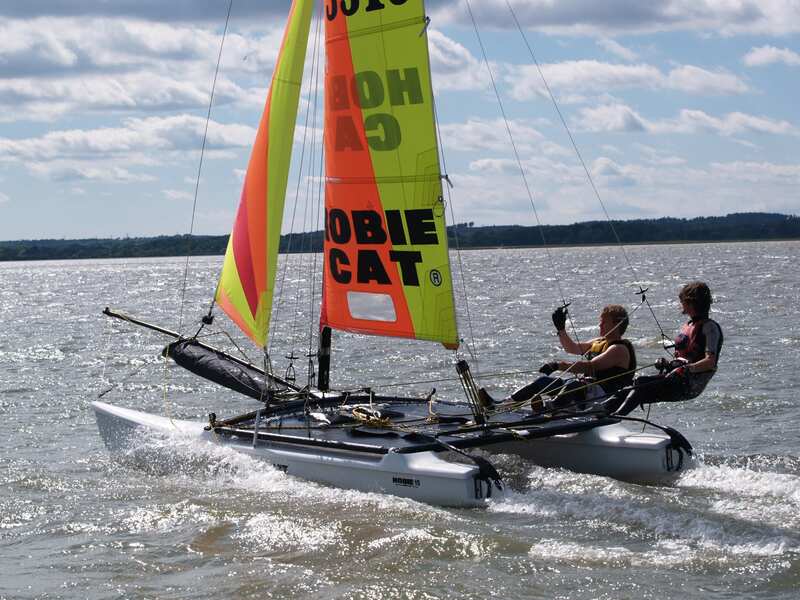 It has twin trapeze and true Hobie Cat performance but its extra buoyancy makes it a fast but forgiving ride. 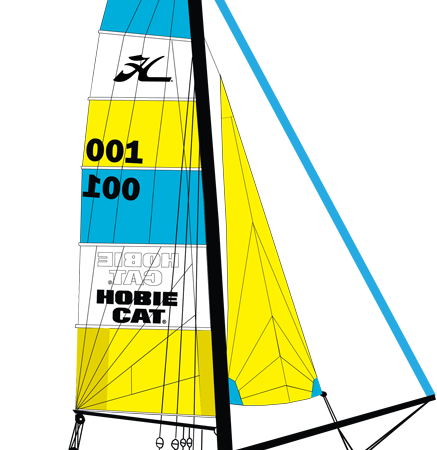 The Hobie 15 is also extremely tough and very low maintenance. 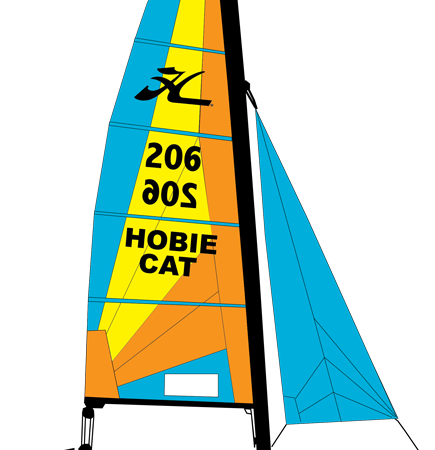 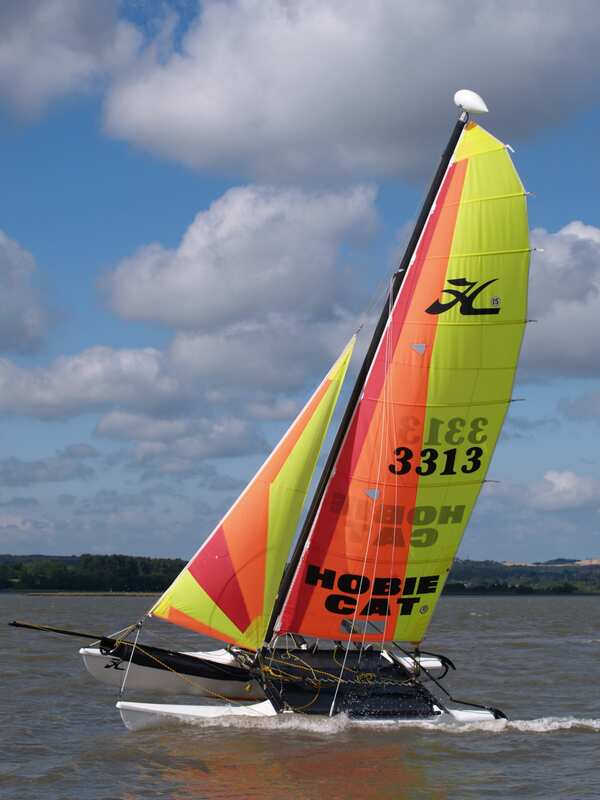 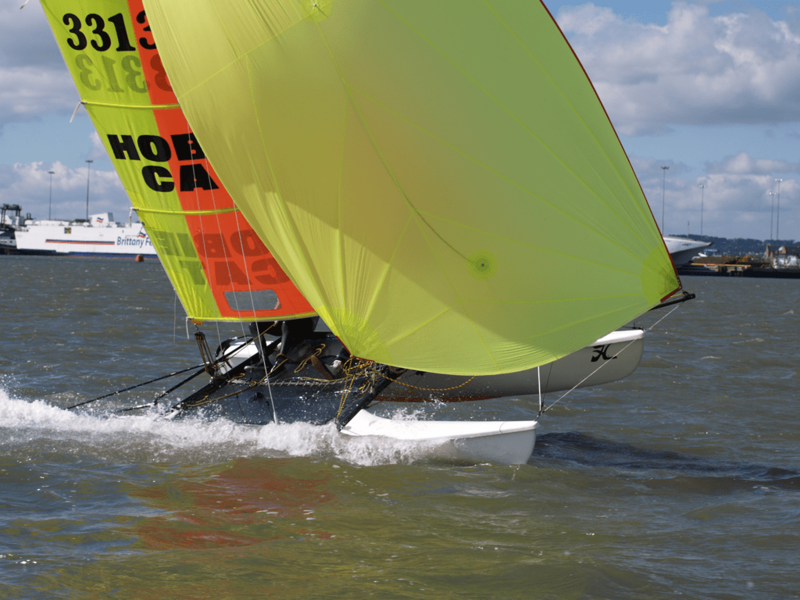 If you are fairly new to cat sailing you can spend a couple of days on the Hobie 15 doing an RYA course and get a real feel for the boat before you buy. 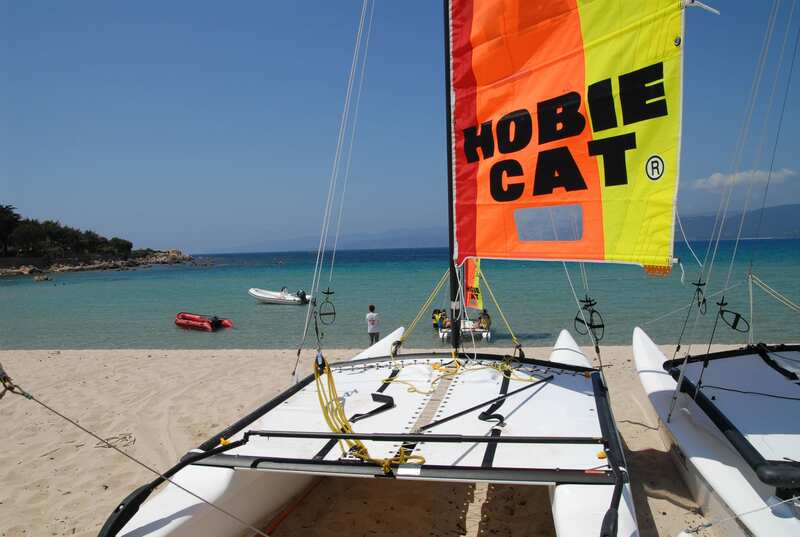 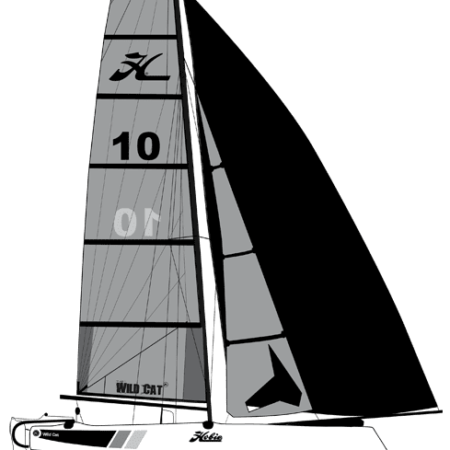 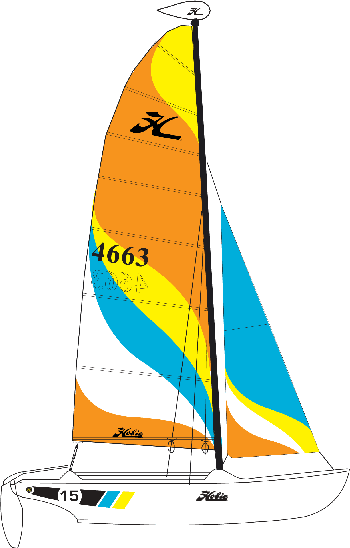 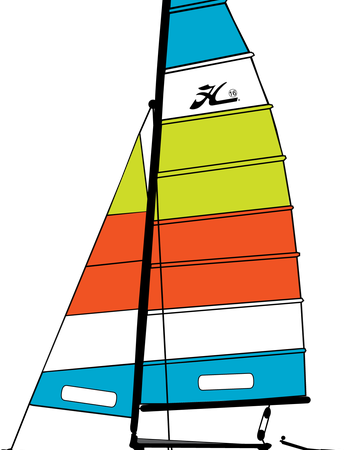 The Hobie 15 is the most versatile of all the Hobie Cats :- it can be sailed single-handed or by a family of up to 4, so if you would like the opportunity to take out family and friends but you can’t always guarantee that you will have crew The Hobie 15 Club offers you the best of both worlds.